Aside from our wonderful food, we take pride in being a real ale pub, and offer some fine drops to bend one’s elbow! Serving five real ales, we mix things up by taking in two guest ales each month. 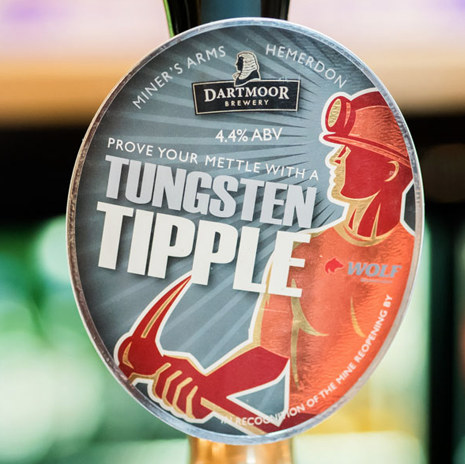 Our established three are a prime choice of Bass Pale Ale, local Jail Ale, and our own exclusive ‘Tungsten Tipple’. A well stocked cellar and bar is essential to any real ale pubs or restaurants and here at The Miners Arms, we give you as wide a choice as possible. We know a good wine brings the best out in our food, so we always have a good selection on our list, including locally sourced wines. From fruity whites and hearty reds to rosé pinks and fizz; we take our wines as seriously as our food, so you can always expect the grape to match the quality of your meal to get the perfect combination. Lemon & ginger, blackcurrant-vanilla-ginseng, peppermint, camomile, earl grey, Green tea. If you are lucky enough to look under 21. You will be asked to prove that you are over 18. If you are under 18 you are committing an offence to buy alcohol at the table or bar. We practice responsible alcohol retail on the premises and challenge 21. Enter your email below and we will keep you up to date with forthcoming events and seasonal offers.